Italian Job | Pub Quizzers | Find a pub quiz near you, now. Pub quizzes take place at Italian Job, Notting Hill on Thursdays (weekly) at 19:00. Entry is £2.00, you can have up to 10 people on a team. There are prizes of spot prizes, cash, drinks. Happy quizzing! 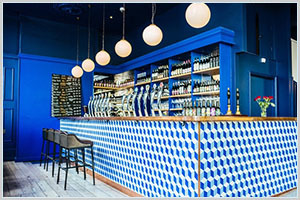 A brilliant new quiz at an exciting new venue in Notting Hill, close to Westbourne Park or Ladbroke Grove tubes and the famous Portobello Road Market. Mixing quizzing & craft beer! 1st prize: £50 food and bar voucher; 2nd to last: Bottle of house wine and up to two bonus drinks to be won! Come and join us every Thursday at The Italian Job Pub! There's no limit on team size, but in the interests of fairness, a points deduction system applies for teams over 6.